Hiring a lawyer for the first time sounds like an expensive prospect. When you’re facing a legal problem, thinking about how much you’ll have to pay is a stress that only compounds your worries. And, because legal fees can be complicated, it’s not always easy to determine how much you’ll end up paying. While you can sometimes find lawyers that have advertised fees, you can’t really determine how much an attorney will charge until you talk to one. When you call or meet with a lawyer, you’ll want to be armed with some basic information. There are many ways lawyers charge their clients, and a lot of conditions and special exceptions that apply to the fees they charge. Knowing this before you start looking for a lawyer will make the process a lot less stressful. Lawyers are professionals, and they expect to get paid. There are five main ways that lawyers charge for their work: hourly, fixed, contingent, success, and percentage. When hiring a lawyer, you’ll need to know the difference between these methods and what they mean for you as a client. Hourly fees are the amount of money a lawyer charges per hour of work performed. Hourly fees are probably the most common fee type used, though the amount charged per hour varies widely based on location, case type, firm, and the individual attorney working on the case. As a general rule, you can expect to pay an attorney $100 to $400 per hour, though higher fees are common, and lower fees are sometimes possible. For example, let’s say you own a business and get sued by a contractor. If you hire an attorney to defend you, the attorney will charge you their hourly rate for all work they perform on your case. They will keep a record of how much time they spend on your case and bill you for the amount owed. So, if the lawyer makes a call to the contractor’s lawyer, negotiates a settlement, drafts a settlement agreement, and accompanies you to the signing ceremony, they’ll keep track of how much time that takes and submit a bill for those services. If their hourly rate is $250 and it took eight hours to complete the case, you’ll have to pay $2,000 in attorney fees. Hourly fees are paid regardless of whether you win or lose – you pay your attorney for their time. While you hope they achieve the outcome you want, you are still obligated to pay them regardless of whether or not they do. When it comes to hourly fees, one of the key issues you’ll want to understand is the billing increment. An increment is the shortest amount of time for which an attorney will bill. Most hourly rate attorneys track their time in 1/10th increments, or six-minute increments, though 15-minute increments are also used. Increments are not divisible, so if the work the attorney performs takes less than the increment – say, two minutes – you’ll still be charged for a single increment. For example, let’s say you hire a lawyer who bills for 1/10th increments. If your lawyer takes eight minutes to write an email to opposing counsel, you’ll be billed for two six-minute increments. If the attorney’s hourly rate is $200, then each increment is $20, and that email will cost you $40. An attorney using a flat or fixed fee charges you a set fee for a specific service. The fee can be anything you and the attorney agree on, from a few hundred dollars to tens or hundreds of thousands of dollars. In general, attorneys will provide simple services, or take cases that do not have a lot of potential complications involved, for flat fees. More complicated cases, or cases that will take a long time, are typically charged hourly. For example, let’s say you hire a lawyer to create a basic estate plan for you. The attorney agrees to create a will, living will, and revocable living trust for $1,000. Unless something changes and you decide you want the attorney to do some additional work, you’ll only have to pay $1,000 for the attorney’s services. In other situations, such as hiring a lawyer to help you prove your grandfather’s will is invalid, the attorney likely won’t offer a fixed fee because of the complicated nature of litigation. A contingent fee is one you pay only if a specific outcome or event takes place. (Typically, that event is you winning your case or reaching a settlement.) If you win, you pay the lawyer’s fee. If you don’t, you pay nothing. Most contingency fee agreements come from personal injury, medical malpractice, class action, or other torts (lawsuits) in which you are seeking a monetary reward. For example, let’s say you buy a car that turns out to be defective. You hire a lawyer to sue the car maker on a contingent basis. You and your lawyer agree that if you win a settlement or verdict, the attorney will keep 20% of the total and you’ll receive the rest. So, if you win and the car manufacturer agrees to pay you $30,000, the attorney receives $6,000 as their fee. But, if you lose or don’t reach a settlement, you don’t owe the attorney anything. A success fee is a hybrid between the contingent and hourly fee. In a success fee situation, the attorney will typically charge you a reduced hourly rate with a bonus if the attorney achieves a specific result. For example, let’s say your business gets sued. You hire an attorney who agrees to charge you on a success fee basis. The attorney agrees to charge you $125 per hour instead of the regular $300 per hour, and you agree that if your attorney wins your case, or negotiates a settlement below a specific amount, you will pay a bonus of $10,000. If the attorney fails to achieve the agreed upon success, you still have to pay the billed hours at the lower rate, but you only pay the bonus if your attorney achieves the result you want. A percentage fee is a fee based on the value at stake in the case or issue you hire the attorney to address. Percentage fees are most commonly used in probate and estate cases, but can sometimes be found in other situations, such as when an entertainment attorney acts as your agent or manager. Let’s say your grandmother dies, names you as executor of her estate, and leaves behind an estate worth $3 million. The law firm you hire to help you manage the estate through probate may charge you – or, rather, the estate – a percentage of the estate’s value as its fee. The percent charged is usually broken into stages, or charged on a sliding scale. So, for example, the firm might charge 4% of the first $100,000 ($4,000), 2% of the next $900,000 ($18,000), and 1% of the remaining $2 million ($20,000), for a total of $42,000. “Pro bono” is a Latin term that means “for the public good.” Pro bono is not a specific type of attorney; it’s a term that describes an attorney who works for a client without requiring the client to pay a fee. Many private attorneys offer at least some of their time every year on a pro bono basis, while some legal aid societies or assistance groups offer pro bono attorneys to people who cannot otherwise afford them. For example, attorneys who volunteer with the American Civil Liberties Union, or ACLU, typically offer their services pro bono. When the ACLU agree to represent someone, the attorneys typically do so without compensation from the client. Attorney fees cover the cost of hiring the attorney, and are usually separate from the expenses associated with your case. Fees can cover anything from the cost of filing legal documents in a courthouse, to travel expenses, expert witness fees, and document or record copying fees. Any time you hire an attorney, you need to be clear about what expenses you’ll be responsible for paying, and when. Most attorneys will bill you separately for expenses, and may require you to cover the cost of expenses, even in contingent fee arrangements. 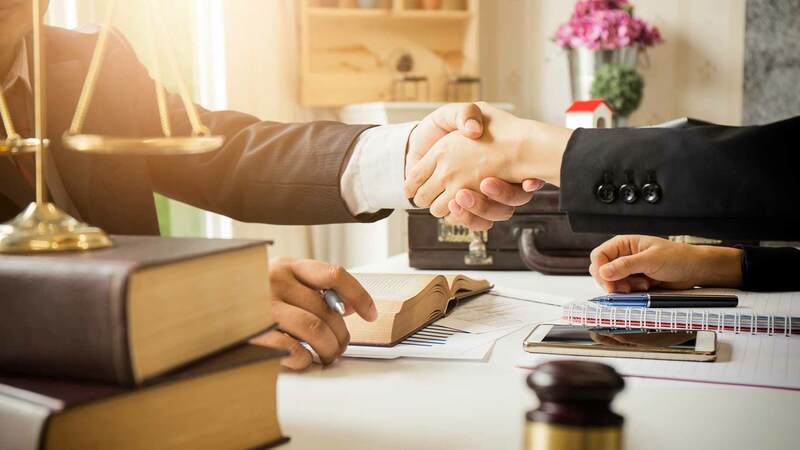 Regardless of the legal help you need, the kind of attorney you hire, or the kind of fee involved, you should make it a point to be clear about the terms of that agreement, and outline those terms in writing. Your attorney should be able to give you a written fee agreement or fee contract that states the terms of payment and representation. The contract should be clear and unambiguous so you can understand it, and should say in simple terms how much you are obligated to pay, when you’re obligated to pay it, and what, if any, responsibilities the attorney has when managing your payments or funds. Many states require attorney fee contracts to be made in writing, but as a general practice, it’s always a good idea to ask for written fee agreements. 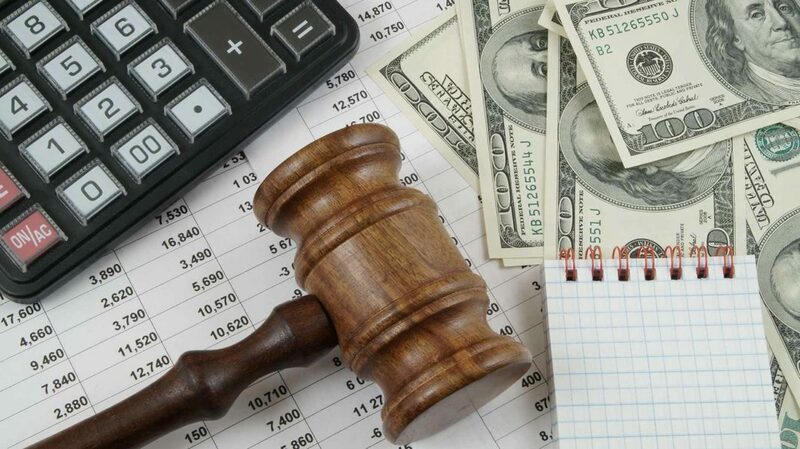 While attorney fees will differ from lawyer to lawyer and from case to case, some types of cases are likely to have specific types of fees that apply. Each attorney and situation will be different, so the typical fee arrangement may not apply to you and your circumstances. When you suffer an injury or harm at the hands of someone else and want to sue, you have a good chance of finding a lawyer who will work on a contingency fee basis. A tort is a lawsuit in which you (the plaintiff) sue someone else for damages (money). For example, medical malpractice cases are one of the more common types of tort, and many, if not most, malpractice attorneys work on a contingent fee basis. Hourly and success fees are also found in these types of cases, though flat fees typically are not. Most criminal defense attorneys charge an hourly fee or a flat fee. 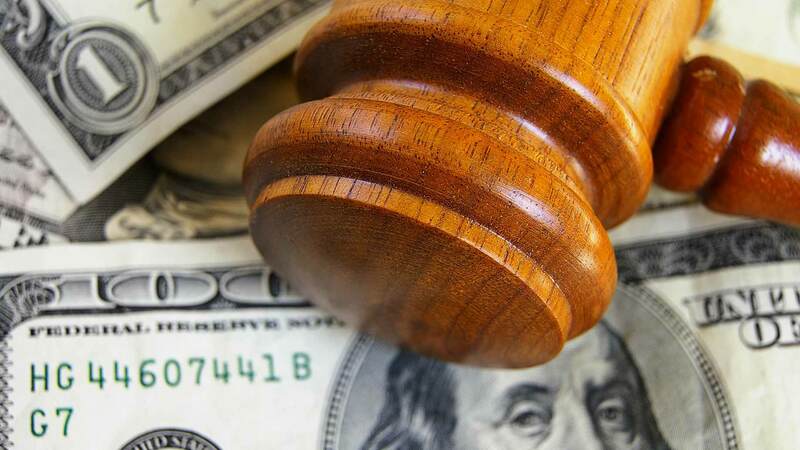 Criminal defense attorneys are prohibited from taking criminal cases on a contingent fee basis. If you’ve been the victim of a crime and the state prosecutes someone for that crime, you are not responsible for any fees or expenses associated with the case. The prosecutor (local, state, or federal) is a paid public official and all expenses associated with prosecutions are paid by the government. Estate planning attorneys help people plan for the future and for what happens after they die, while probate attorneys help people manage the legal process that takes place after someone dies or becomes incapacitated. Most estate planning and probate attorneys work on an hourly fee basis, though the use of flat fees, and even percentage fees, is also common. Flat fees are usually used when the matter is simple, such as writing a basic will, while percentage fees are used when you have an estate or trust that needs to be managed or probated. Adoptions, divorces, and other family law issues are usually charged an hourly fee. In some situations, such as a no-contest divorce without any child support or custody issues, the attorney might work on a flat fee basis. Contingent fee agreements are generally prohibited in family law cases. If someone owes you a large amount of money, you might be able to find an attorney to work on a contingent or success fee basis. 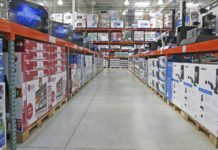 Similarly, if you’ve been harassed by a creditor and want to sue them for their actions, most consumer protection attorneys will take these types of cases on a contingent basis. Otherwise, hourly or flat fees are most common in collections cases. How much you pay is a different question from when you pay it. If, for example, you agree to hire an attorney for a $10,000 flat fee, do you have to pay everything up front or when your case is over? Like other legal fee issues, there is no single answer to this type of question, and each situation and attorney will be different. If your attorney charges you on an hourly basis, you’ll typically receive a bill every month. When an attorney sends you a bill, that bill will detail how much work the attorney has performed, how many expenses the attorney has incurred, and how much you are obligated to pay. These bills won’t usually break down the time the attorney spends in detail unless you ask, but itemized bills are usually possible, as most lawyers use time management software to keep track of time spent working on a case. Once you receive a bill, you are generally obligated to pay within 30-60 days. A retainer is a specific amount of money you pay an attorney before they begin working for you. The attorney will keep the retainer, submit bills to you, and draw your fee from the retainer amount as they work. Once your case is over, the attorney will return any remaining funds from the retainer to you. For example, your attorney might ask you for a $10,000 retainer, anticipating your case will take five months to resolve. The first month they work on your case, they bill you $2,000 in fees and expenses, while the next four months they bill $1,000 each month, for a total of $6,000. At the end of your case, your attorney returns the $4,000 that was never used. Retainers are common in hourly fee arrangements, but are also found in contingency fee arrangements where the attorney anticipates expenses. Your attorney may agree to a payment plan in which you agree to make payments on a regular – typically monthly – basis. These types of plans are most common in flat fee arrangements. For example, if you agree to pay an attorney $5,000 for your DUI case, you might agree to pay $2,500 up front and $500 per month for the next five months. In contingency fee situations, you’ll want to know if you have to pay the fees before or after expenses are deducted. Even though you won’t have to pay your attorney unless you win, the attorney will deduct their payment and expenses from the amount they recover on your behalf. When the attorney deducts expenses from that reward, it can have a significant impact on how much you’ll receive. For example, let’s say you hire an attorney on a 30% contingency basis, plus fees. The attorney incurs $5,000 in expenses and wins you a $20,000 settlement. If you pay for expenses after the fee, that means you pay the attorney 30% of $20,000 ($6,000) plus $5,000 in expenses, or $11,000 total. On the other hand, if you pay expenses before the fee, you’ll pay $5,000 for expenses + 30% of the remaining $15,000 ($4,500), or $9,500 total. Before you hire a lawyer, you’ll probably want to speak to one first. In many situations, the lawyer will charge you a fee for this time, called a consultation fee. Not all attorneys charge consultation fees, and those who do charge different amounts. If you’re unsure about any potential consultation fees, always ask before you agree to meet with a lawyer. There are some situations in which fees and expenses are affected by other factors. Again, if you’re unsure how much you are expected to pay and when you have to pay it, or if you have any other questions about your obligations, ask your attorney or a member of their staff. Your lawyer has an obligation to communicate with you about these issues, and you should always be clear about what your obligations are. If you’re ever charged with a crime, you have the right to have an attorney represent you through the criminal justice process. If you cannot afford an attorney, you have the right to have an attorney appointed to represent you by the court. The attorneys who represent people who cannot afford to hire them are either private attorneys who agree to represent indigent clients (people who cannot afford to pay), or attorneys who work for a public defender’s office. These attorneys will provide you with legal representation and ensure you receive legal defense, even if you don’t have any money. However, even if you think you can’t afford an attorney, you may still have to pay attorneys’ fees, court fees, and other costs associated with your case. In most jurisdictions, you can only be represented by a public defender if you prove, by signing an affidavit, that you do not have enough money to hire a lawyer. However, this is not always an all-or-nothing prospect. If you have some money, but not enough to hire a private lawyer, the court may require you to pay a share of the costs. You may also have to pay a flat public defender’s fee, even if you prove you can’t afford an attorney. Also, there is no right to a public defender or an attorney if you are involved in a civil legal process. A civil process is where two people, or private organizations, have a dispute and go to court. If, for example, you want to sue your neighbor for the damage his tree caused to your house after it fell over in a storm, you’ll have to go to a civil court to do this. You don’t have a right to an attorney in civil court, so you’ll either have to represent yourself or hire an attorney with your own money. This also applies if you get sued, so don’t count on a public defender helping you if you’re ever named in a lawsuit. If you ever need legal advice, the first person you’ll usually seek out is an attorney you already know. Whether it’s an uncle, family friend, or lawyer who helped someone you work with, attorneys get most of their clients through word of mouth. However, most attorneys specialize in particular areas, and the attorney you know won’t always be able to help you. That attorney will typically refer you to a lawyer who can. If you hire the recommended lawyer, the lawyer who referred you will typically receive a referral fee from your lawyer. The amount of the fee differs, but it can be a flat fee, a percentage of the total fees you pay your lawyer, or a combination. Your lawyer should tell you the details of any referral fee agreement. In some situations, attorneys are limited by law as to how much they can charge in fees. For example, some states limit how much attorneys can charge when they work on a contingent fee basis for medical malpractice cases. These states either have a maximum percentage the attorney can charge, such as 40%, or have a sliding scale with different percentage amounts that apply depending on the size of the amount recovered. Since state laws differ significantly, you should ask your attorney if there are any fee limits or restrictions that apply. While hiring an attorney may not be as expensive as you think, there is a lot more to legal fees than most people believe. Most of the fee issues you encounter are relatively simple, but they can be intimidating, especially to people who have never hired a lawyer. Before you pay any money or sign any agreement, you must be certain you understand how much hiring a lawyer will cost. Asking questions, getting your fee agreement in writing, and reading everything your lawyer gives you is always in your best interest. What have your experiences been with hiring an attorney? Was there something you wish you’d known beforehand?